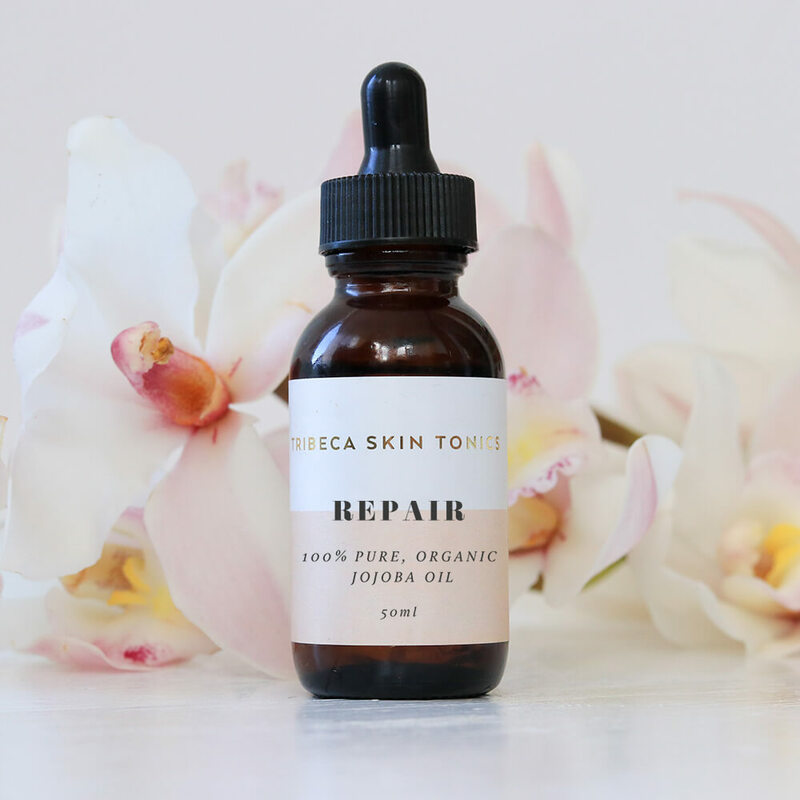 Repair oil is designed for even the most sensitive of skins. Using pure, cold-pressed, organic Jojoba oil to gently repair and rebuild skin. Repair can be used as both a cleanser and a moisturiser – it also pairs beautifull with Rose Tonic for an added layer of moisture. As a cleanser: Massage 4drops of oil into dry skin (can be used directly over makeup and over eyes). Add a little water to emulsify and wash off with a muslin cloth. As a moisturiser: Massage 2-4 drops into damp skin morning and evening. Tribeca oils can also be used underneath or mixed in with your regular moisturiser to give you extra lipids.